Home / HairCare / Back2Blonde Root Touch Up. Back2Blonde offer temporary root touch up with a choice of products in the range. 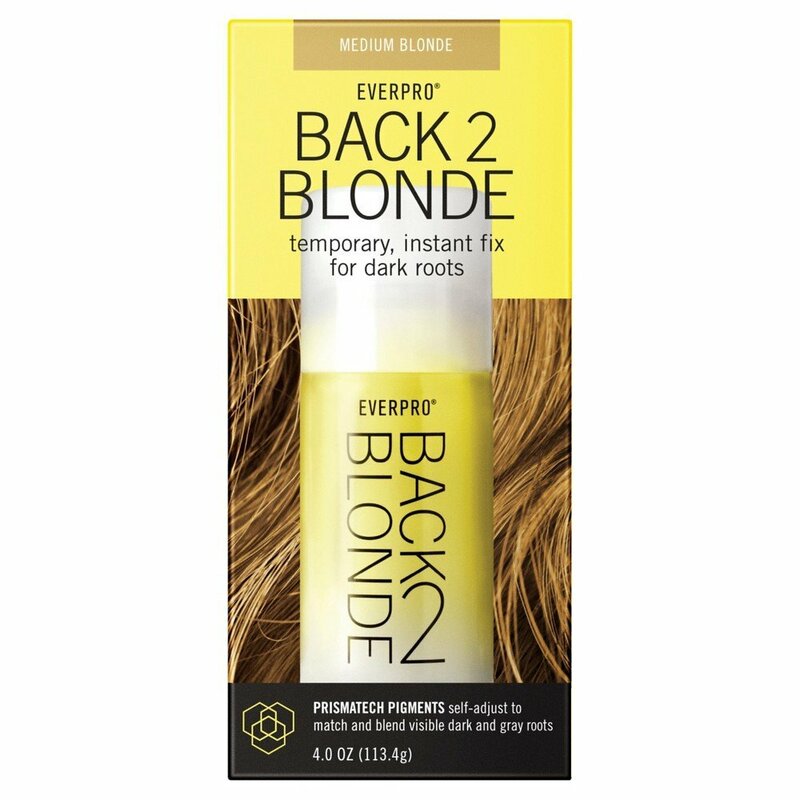 EVERPRObeauty, the creators of Back2Blonde, was founded on a single mission — to offer innovative solutions to unique hair concerns. A high-performance range of easy-to-use hair care products, EVERPRObeauty offers professional-grade salon formulas to be used in the privacy of your home. Years of research and development, EVERPRObeauty’s products guarantee exceptional, instant results. Back2Blonde have all the bases of a blonde covered by offering their product in dark, medium or light blonde. A root concealer spray or magnetic powder to cover dark roots and greys offers an instant quick fix, either between salon visits or to blend out your blonde until your next colouring. Back2bBlonde Instant root concealer spray for Blondes provides instant coverage in seconds. Mineral cosmetic pigments adhere to hair and wash out easily with shampoo, leaving no trace of its presence in the hair. The self-adjusting Colour technology blends with hair colour for a natural finish. Self- Adjusting Colour technology blends with hair colour for a natural finish and feel with healthy shine. Shake well before use to ensure even application. For best results, apply to dry hair. Hold can 10-12cm from hair and spray lightly onto roots or area to be covered. Move hand continuously back and forth until dark and/or grey regrowth is evenly covered. Allow to dry for 2-3 minutes. 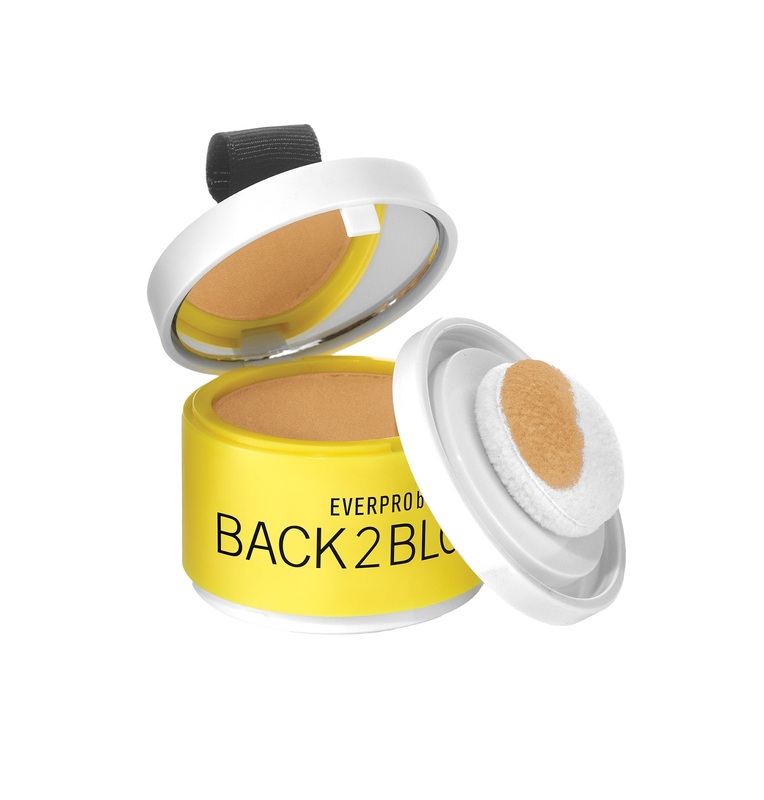 Back2Blonde temporary root touch-up magnetic powder is an instant, effective and easy to use solution to get rid of those unwanted dark and grey roots. The magnetic binding formula attaches along each hair strand like magnets providing the ultimate coverage that stays put all day long. Tailored especially for blonde hair shades the self-adjusting colour technology blends to match your hair colour for a natural finish. Removing the base on the magnetic powder to reveal the sponge applicator, you will find the powder in the top lid. Using the sponge applicator, sweep a small amount of powder over dark (and/or grey) roots starting from the scalp and working outward. Re-apply to cover all areas you wish to be transformed into the shade of blonde you have chosen. 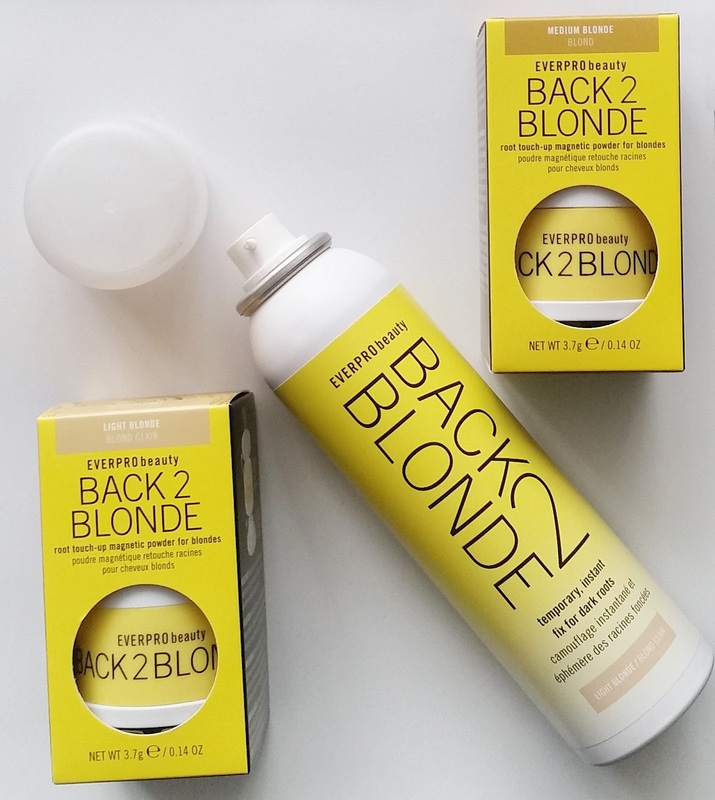 I was really impressed of the Back2Blonde range and how easy they are to use. Covering dark roots and greys has never been easier to achieve when using these hair care products, whilst they are also helpful to refresh your blonde or ombre colour instantly. Applying the Back2Blonde products to clean, dry/styled hair is the best application as none of the products offer heat protection so these are the last step to use on your hair for best results. Each product is bag friendly for when your travelling or on your holiday helping them be an easy on-the-go root touch up to create healthy beautiful hair that is easily achievable with the help of Back2blonde. X Neil.